Haiku Blue is a 2014 mail collaboration. 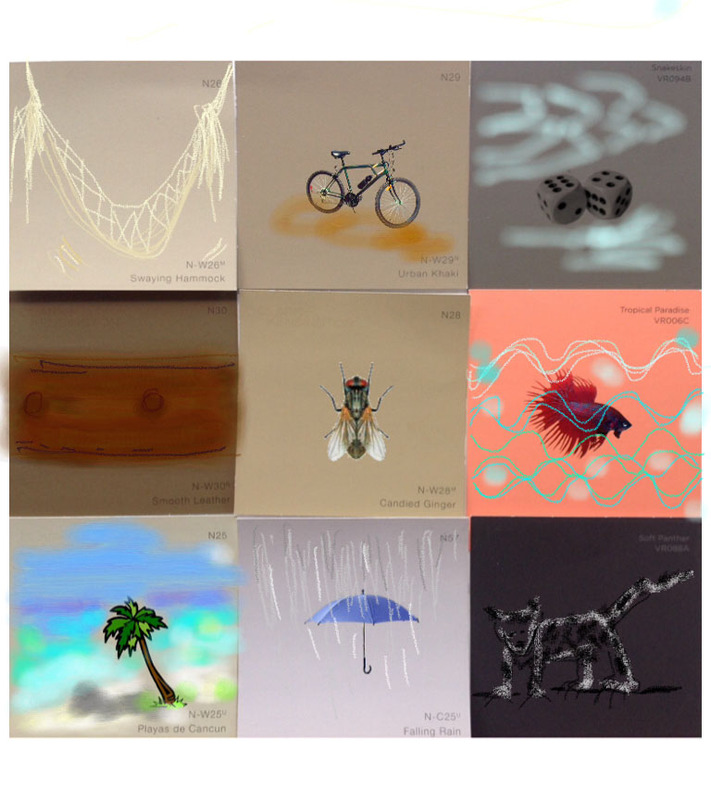 The photographs were originally instagram ‘set-ups’ using paint chip samples as haikus, constructions, found and personal objects, and drawings. Jeff Crouch is an internet artist living in Texas with a lot of blogs. google him.